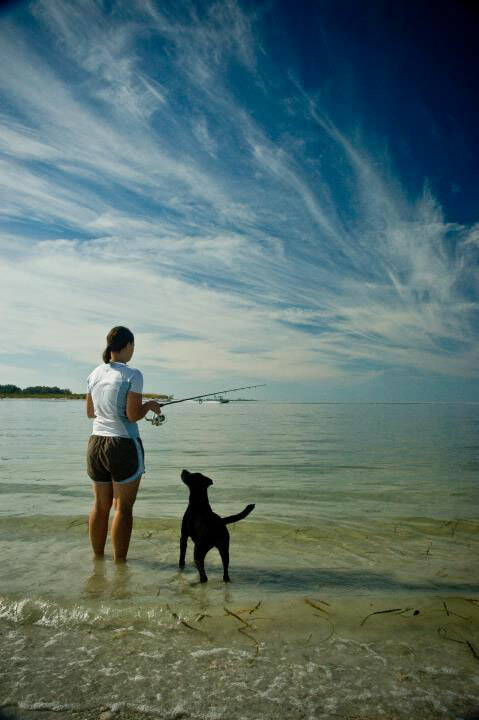 Amanda with her dog, Gertie, fishing at Shell Island in the Florida Gulf Coast. Amanda Rich grew up in Knoxville, Tennessee, near the heart of the Smokey Mountains, hiking around the rivers and lakes, and falling in love with nature. After high school she attended Clemson University and the University of Tennessee where she studied Environmental Science. She took the following year off to hike the Appalachian Trail, then married her college sweetheart and moved to Central Florida. 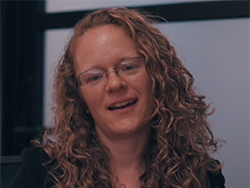 Aware of Amanda’s passion for the environment, a friend suggested she apply for a job at First Green Bank, and in 2011, she was hired in the back office, despite having no banking experience. She now works in the operations and accounting department in the Mt. Dora office. There were not many mission-minded people at the bank when Amanda joined. It was the early years of the bank and, she reports, “It was hard to find like minded bankers in our small county.” She also quickly realized that the mission was not generally understood, and in fact some of the of the folks in northern Lake County were hostile to it. 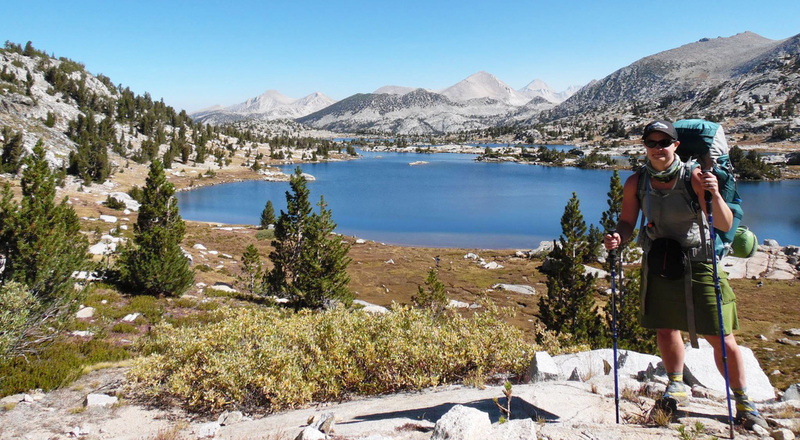 Amanda hiking along the 210 mile John Muir trail at Marie Lake in the John Muir Wilderness area, September 2015. When she was hired Ken noted Amanda’s interest in all things wellness and asked her to send out emails to employees on healthy eating. She wanted to let people know they could eat well and not break the bank, she says. She is currently enrolled in the bank’s Mission Specialist program. To receive the designation Mission Specialists candidates must pass a rigorous exam to become LEED Associates, complete assigned readings, research a Global Alliance for Banking on Values bank and report on the findings to other staff members, and become a docent at the bank’s LEED Platinum headquarters. Thus far three staff members have met all of the requirements. However, eight others are en route to earning that designation. She notes that other Mission Specialists have focused on becoming solar power experts, an area that the bank is targeting heavily for lending. “These folks are incredibly knowledgeable in that field and have installed solar on their own homes and have become the go-to people with that,” she says. 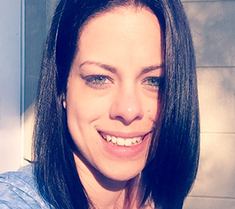 “I grew up in a super outdoorsy area and fellow employees know that is my passion. They ask me what can they do locally to get outside and to become more active. I try to encourage them to do more than go to Disneyland." 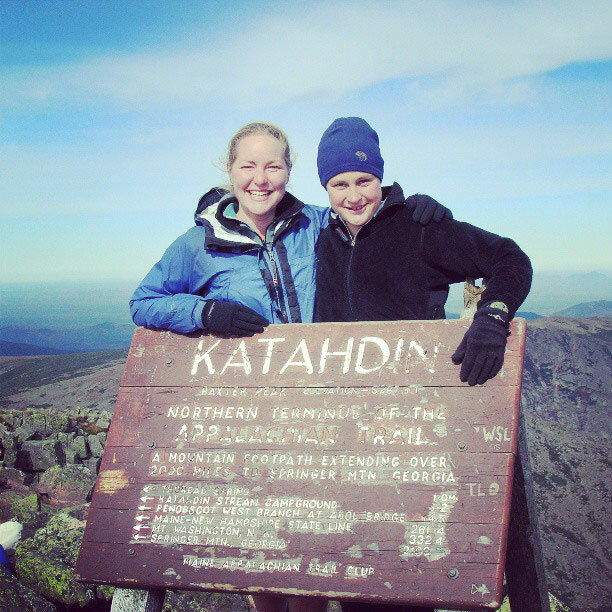 The final summit and completion of Amanda's six-month adventure thruhiking all 2175 miles of the Appalachian Trail at Mt. Katahdin in Maine in October of 2005. 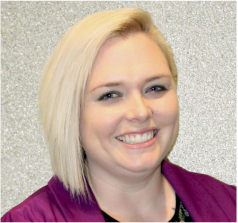 As part of her efforts to fulfill her Mission Specialist requirements Amanda studied Oakland-based Beneficial State Bank, a fellow GABV member. She recently reported on her findings at a staff Lunch & Lean. “I wanted to present this bank to employees because it has proven you don’t have to be purely profit driven to be successful,” she explains. 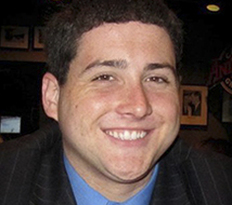 “I was also interested in the fact that after Beneficial makes a loan they don't end the relationship there. Employees then go out to those businesses on a weekly basis to follow through on supporting the bank’s mission." "I am not saying we put the environment ahead of the economy. I am talking about making ethical and moral decisions as part of our economic decisions." "We see this new account as our way of being there for people in our community who are living paycheck to paycheck." “What the bank does in the community really speaks to me. I feel it has made me a better person."